Why is my car pulling to one side when I’m driving? The primary reason a car would pull to the left or right side while driving is if the alignment is incorrect. However, tires can also cause a pull while driving. This is most common with low-quality tires or tires that have worn unevenly at some point in their life. Finally, wear in the steering or suspension components can also cause a pull. What is alignment and how does it affect my car? The alignment is the angle of the tires in relationship to the vehicle. For example, if one or more of your tires points slightly to the right when the steering wheel is straight then your car will pull to the right. This is an example of the toe adjustment being out of specification. You may also experience a pull if there is excessive camber on one or more wheels. An example of camber is if the top of the wheel is angled more towards the car, it will look like the wheel is tilted towards the car. While a pull while driving may feel like a small nuisance, it can cause other problems. When the alignment is out of specification, the tires will wear unevenly, which will necessitate them being replaced early. The other safety concern with the alignment is primarily in an emergency situation. It is pretty easy to stay in your lane when you’re paying attention, but in an emergency, you want your car to behave exactly the way it was intended to. Poor alignment could be the difference between a near miss and a nasty accident. Interested in learning more? Brush up on your auto smarts with additional information about alignments. If an alignment does not cure a pull, the next step would be to check the tires for wheel balance. 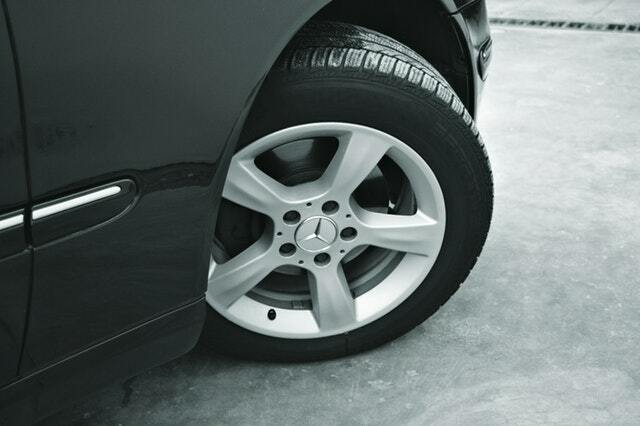 At Alexander’s, we use a Roadforce balancing machine that measures how much and in which direction a tire will pull. New, high-quality tires will not pull in any direction, but worn or low-quality tires may have a substantial pull when installed on the vehicle. With the tire balancing, the machine gives us direction on where to put each tire to minimize pull. If this does not resolve the issue, the tires would require replacement. Is car pulling a safety concern? If a part is worn enough to cause a pull, it’s worn enough to be a safety concern. In short, it can be. Any steering or suspension component that is worn enough to cause a pull is worn enough to be a safety concern. These components include bushings, ball joints, tie rod ends, the steering rack and struts. If any of these parts were to break while you were driving, the car would no longer be driveable and could damage other parts, creating a much more expensive repair. Any steering or suspension component that is worn enough to cause a pull is worn enough to be a safety concern. What other symptoms accompany car pulling? Besides the obvious pull, the only other thing to watch out for would be a clunk or rattle in the suspension. A clunk or rattle is an indication that something is worn. This worn part could be causing your pull, or could affect the alignment adjustment. In this case, the worn part would need to be replaced and then the alignment adjusted to remedy the pull. Begin with a test drive to start the diagnosis. After confirming there is a pull, we will check the condition of steering and suspension components and check the alignment. Depending on what we find, we will recommend replacing worn parts or adjusting the alignment. Once the work is completed, we test drive the vehicle again to confirm the problem has been resolved. Can you prevent your car from pulling? Very few things can prevent the alignment from being out of spec or to stop steering and suspension components from wearing. One helpful tip is to avoid potholes, but that can be rather difficult (especially in Minnesota). 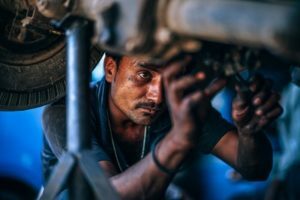 The best thing to do if you notice something wrong or different about your vehicle is to have it checked out by a professional to make sure nothing gets to the point that it is a safety concern. As always, it’s better safe than sorry.